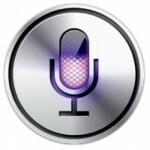 OK, I admit it … I kind of like Siri on my iPhone. Some of the features are darn right useful … being able to tell the phone to remind me about something based on location, get the current weather, send a text message by voice, etc. Recently I found a case that Siri seems to know how toparse … but can’t answer. Which I find very odd. This entry was posted in iPhone and tagged flight status, iphone, siri on 4-December-2012 by David.